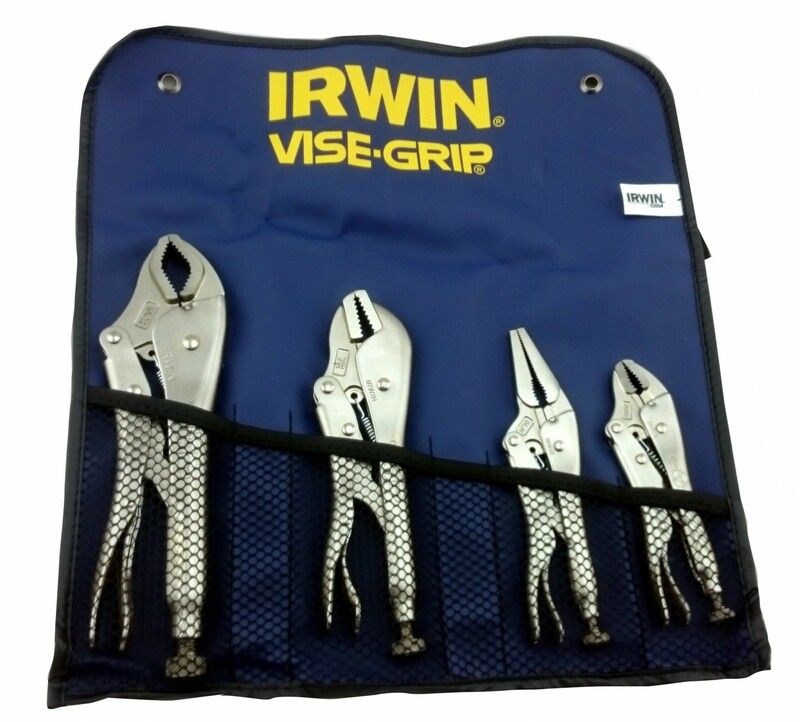 4 piece vise grip locking plier set. Set contains a 5WR, 6LN, 7R & 10CR. 5WR is 5" curved jaw locking plier. 6LN is a 6" long nose locking plier. 10CR is a 10" curved jaw locking plier. 7R is a 7" straight jaw locking plier. Set comes supplied in handy tool pouch.